Reviews of products by your’s truly. This is the first in a series of posts regarding a new server build one is working on. The current local server, a HP Proliant Microserver (Gen 7 with a N40L) is four years old. While it can still handle print and file serving, it is having issues with its newer tasks. Specifically, transcoding Plex streams to Chromecasts and Fire TVs is a stuttering affair. To start the build, one needs to have a case. Finding a good quality rackmount case, with hot swappable drive bays, at a reasonable price leaves just one option, the Supermicro SC216. The problem with the SC216 is it has 24 drive bays for 2.5″ drives. Most manufacturer’s only have 2TB drives in the 2.5″ formfactor. However, there is the ST4000LM016 made by Seagate. When Dell released the XPS 15 9550, they also announced a Thunderbolt docking station to take advantage of the 9550’s Thunderbolt 3 port. 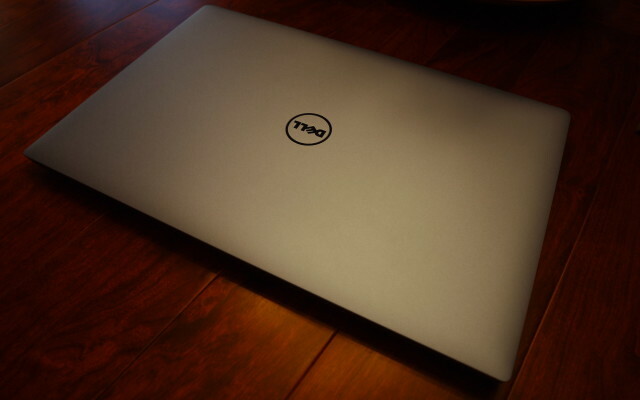 Dell referred to it as the TB15. However, one does not simply purchase the TB15, it comes packaged with a power brick. The 450-AEVM is a TB15 packaged with a 240W power brick. A package with a 180W power brick also exists. When the last generation of XPS 13 laptops came out with the infinity display, I eagerly awaited an update to the XPS 15 that offered the same minimal bezel design. The Dell XPS 15 9550 is said machine. I had been looking for a 14″ laptop back when looking to replace my Vostro 1400. While I settled for the XPS 15 9530 in the last go around, the new XPS 15 9550 is best described as a 14″ laptop with a 15″ screen. Plex is really awesome. It has a server component that I’ve had running on my home server for over a year now. There are apps for Roku, Windows 8 and Android (I have all three) which automatically find my local server and can stream from it. The Android Plex app can even act as a remote for other Android, Roku, Windows 8, and the Plex Home Theater client. 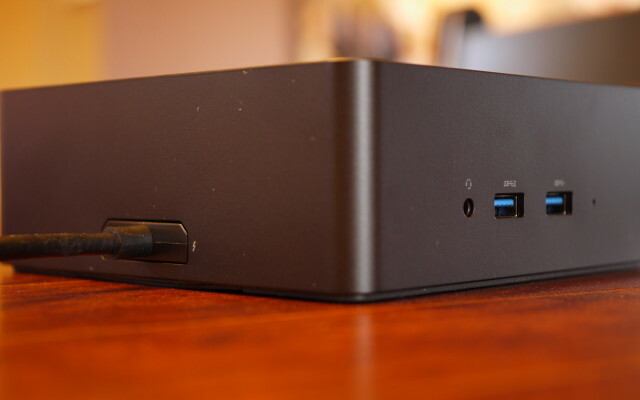 Rather than dive in a try to get Plex Home Theater running on raspberrypi, I went with the new NUC DN2820FYKH. While I bought an IdeaPad s405 back in June, it was never intended to replace my daily use laptop (Vostro 1400). So I was still looking for a new laptop. Even though the Dell XPS 14 ultrabook with a Haswell core would theoretically meet my requirements, such a laptop does not exist. However, the next closest thing, the Dell XPS 15 9530 (2013 edition of XPS 15) with a really sweet screen does exist. The XPS 15 9530 is a high end laptop, though the model I have is not the top model. Those looking for the “professional” equivalent see the Precision M3800, it has nearly the same internals (swap the Geforce for the equivalent Quadro and it looks like the PCH in the M3800 has a heat spreader). The build quality exceeds that of my other two laptops. This is to be expected given the materials (carbon fiber+aluminum+glass vs plastic), and the price. Unlike the IdeaPad s405, the XPS 15 9530 does not flex when opening the lid. Just like the IdeaPad s405, the speakers face down, reflecting sound off the surface the laptop is resting on. Not much more to say on this one. Performance wise, it is faster than both the Vostro 1400 and the IdeaPad s405. Again, that was expected. Just like the IdeaPad s405, the entire bottom of the laptop must be removed to access the internal components, including battery. Unlike the s405, opening up the laptop does not void your warranty. Additionally, Dell does provide instructions for replacing components. These are two of the biggest reasons I will continue to purchase Dell laptops. Speaking of opening up the laptop, be warned you will need a TORX T5 driver to open up the chassis. Additionally, the XPS 15 9530 is a little tricky to get apart. While Dell does provide instructions, it isn’t very clear on how to get the carbon fiber bottom separated from the aluminum palm rest (which is where all the components are attached to). After fiddling around with it for a while, I finally figured it out. Start with one of the front corners, use a thin shim to gently separate the chassis. Then use your plastic pry tool to widen the gap, move around the rest of the front and down the two sides. Lastly, move to the back corners after you get one of them, grab onto the bottom part from the front of the laptop and pull up, the last snap should release. While the WiFi card uses the new M.2/NGFF form factor, the SSD is connected via the old mSATA connector. This is not exactly a problem today. However, within a year M.2 will be much easier to find than mSATA (almost all new SSDs to be released in 2014 are available in M.2). If you have the 91WH battery version, that means replacing that 512GB Samsung “840 pro” class mSATA will get difficult quickly. I still don’t like track pads. While they have grown larger, and the XPS 15 has a pretty decent trackpad. I haven’t had a chance to play with it in Linux yet, so time will tell how good it is. The touchscreen is really awesome with Windows 8.1, with all of its gestures. Again, I haven’t had a chance to play with it in Linux yet, so time will tell how awesome it is. The ‘BIOS’ is an UEFI interface. While it defaults to secure boot, it can be easily disabled. Unlike Intel’s NUC Kit DN2820FYKH (Bay Trail-M Celeron N2820, more on that later), the XPS 15 will happily boot non-UEFI USB thumb drives. There is an option for battery charge mode, something I haven’t seen before and will have to look into it. One option that I did not find yet was a way to disable the Nvidia Geforce GT750M from the BIOS. So, it looks like I will have to use software to disable it when Linux boots (did not want the GT750M, but I did want the better screen).